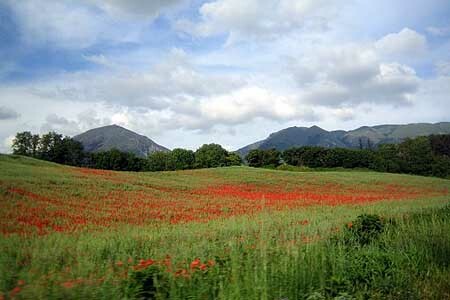 Collestefano is generally considered to be the most beautiful hill in the area. 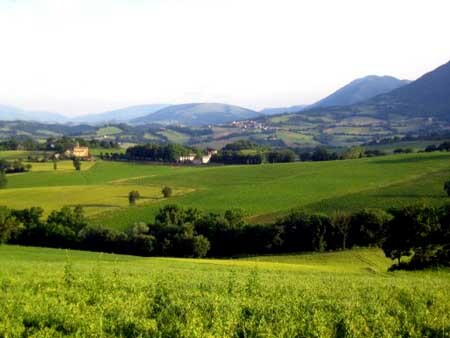 Sunlit throughout the day, cooling breezes in summer, a mild, healthy climate, quiet and off the beaten track, Collestefano is nevertheless just 2 km away from the village centre. 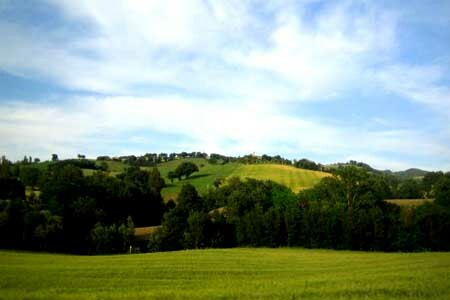 The 12 hectares (circa 30 acres) hill with its three houses presents a unified picture. 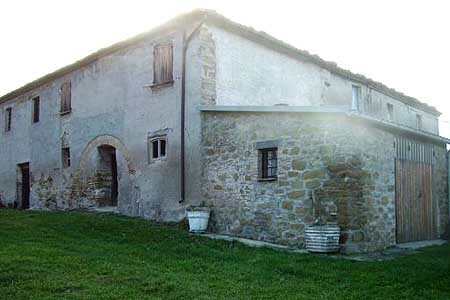 There is a 500 m² (5381sf) manor house (cellar, stone wine press, deep well and water reservoir, storerooms, garage, large central kitchen, 8 variously sized rooms), a 400 (4305 sf) m² farm house with 5 rooms on the ground floor, one of which is a cellar; 6 rooms on the first floor and a separate 64m² (688 sf) building with 2 bedrooms, living room, bathroom and kitchen. 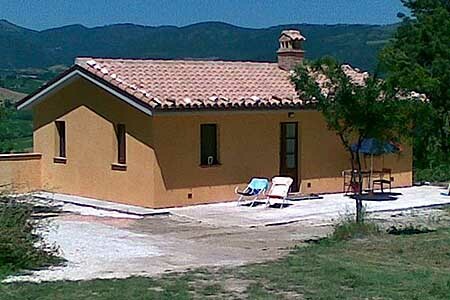 The residence is situated centrally with easy access to main roads. 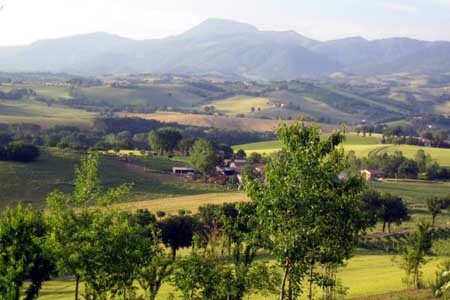 The towns of Camerino, San Severino Marche and Matelica are all located in the immediate vicinity (within a 10 km radius). The international airport and the harbour town of Ancona are only a one-hour drive away; The Adriatic Sea and Port Recanati 45 minutes. 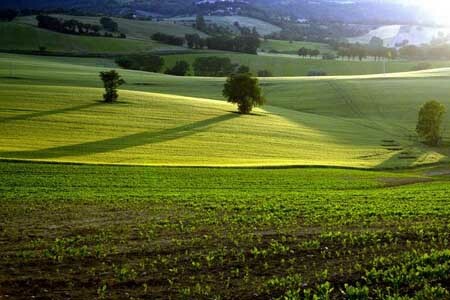 Inland, Assisi can be reached in one hour, Perugia in an hour and a half, and Rome and Bologna in three. 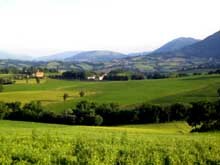 Our hill (430m), from which a unique panorama of the surrounding countryside can be enjoyed, rises in the middle of the Castelraimondo (MC) district. The local history show that by 1246 Collestefano was already well known as part of a medieval defence system. 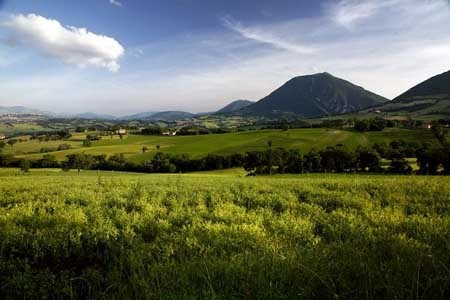 Razed to the ground by the lords of Varano di Camerino, it was rebuilt in 1300 as a small parish church with buildings for a religious order and in 1700 it became a country manor. 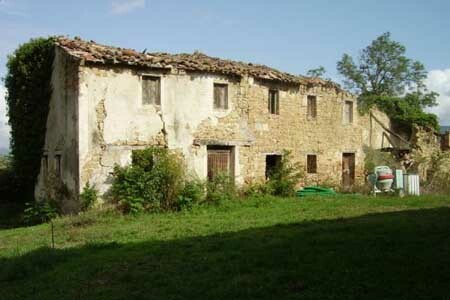 It has been in possession of the same family since the 1930s.